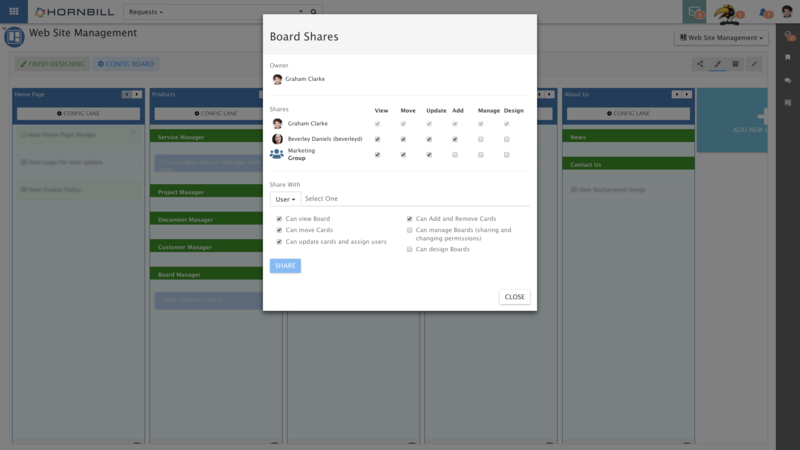 Board Manager is a work planning and visualization app that lets you work more collaboratively while getting your work done. 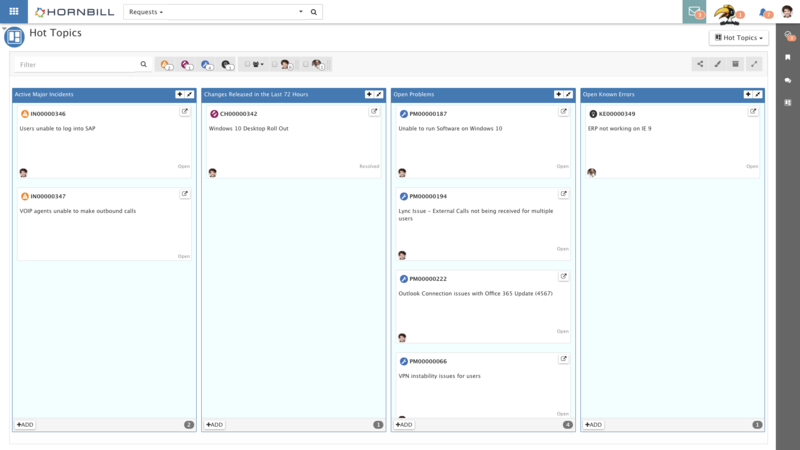 With easy to use boards, lanes, and cards you to organize and prioritize your projects in a flexible and highly visual way. 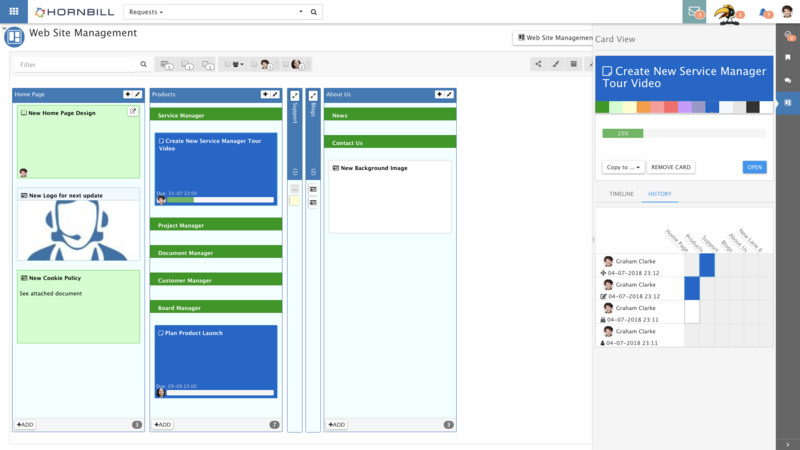 Cards on your boards can be stand-alone or can be related to other objects in Hornbill such as requests, tasks, emails, documents, posts, etc. 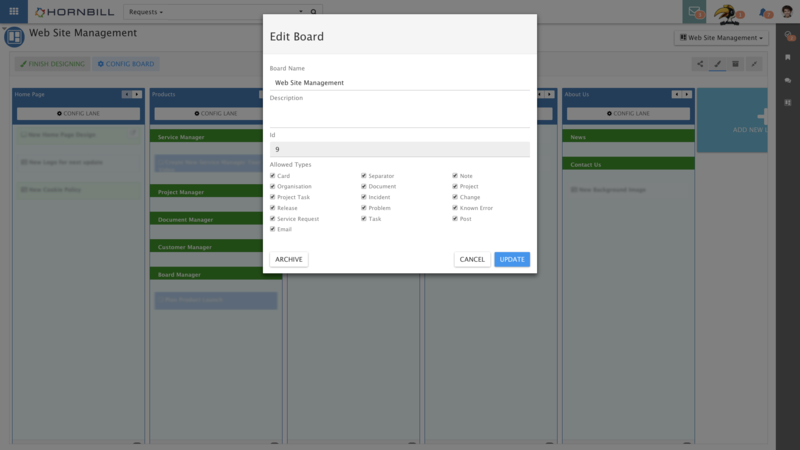 This baked-in integration between Board Manager and the many features and capabilities of the Hornbill platform and other apps makes Board Manager an excellent choice for your visual work planning needs. 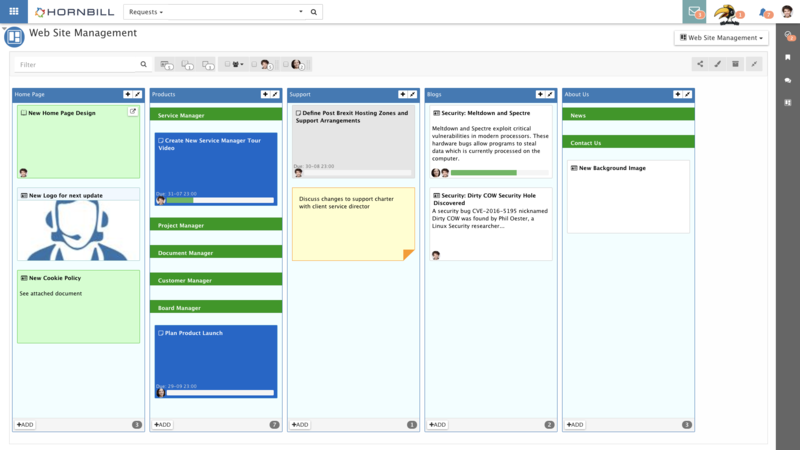 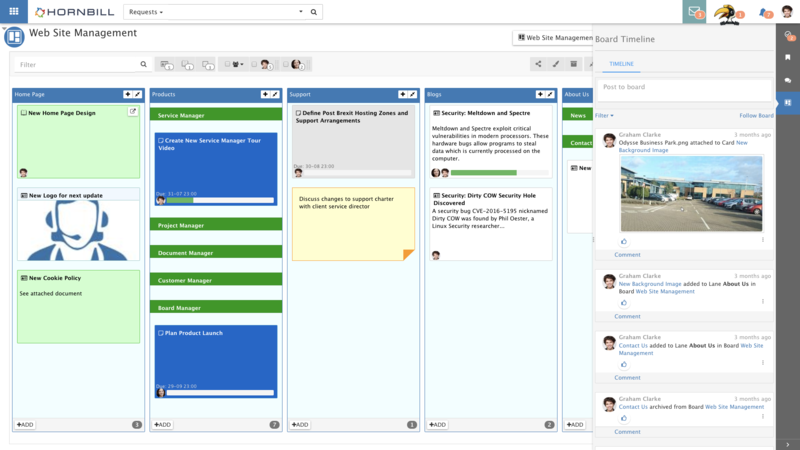 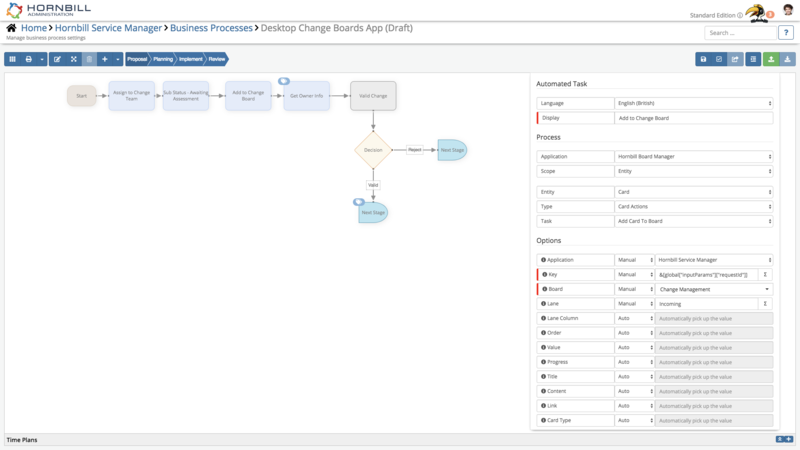 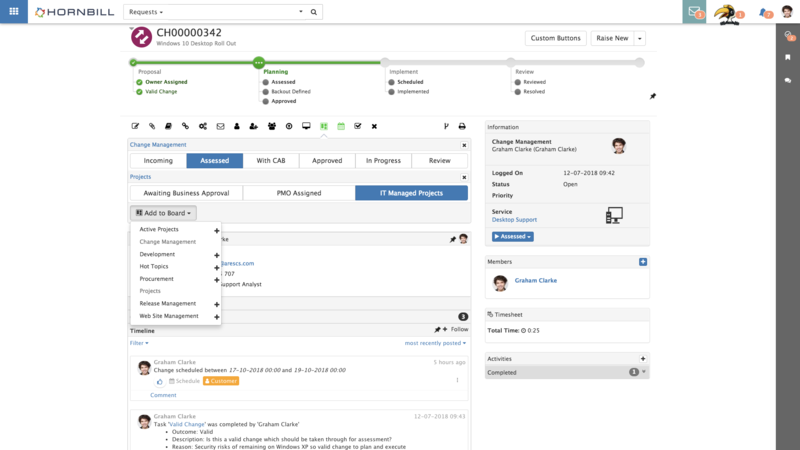 Work can be planned, assigned, updated by simple drag and drop operations. 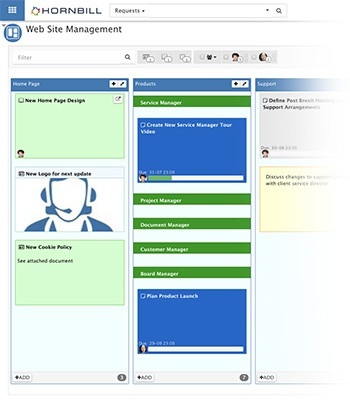 Hornbills powerful business process automation engine allows boards to be automated, producing vibrant, dynamic and intelligent visual representations of your work.